This summer you won’t miss a second of the festivals. Follow everything live or watch the recap later, straight from your couch. 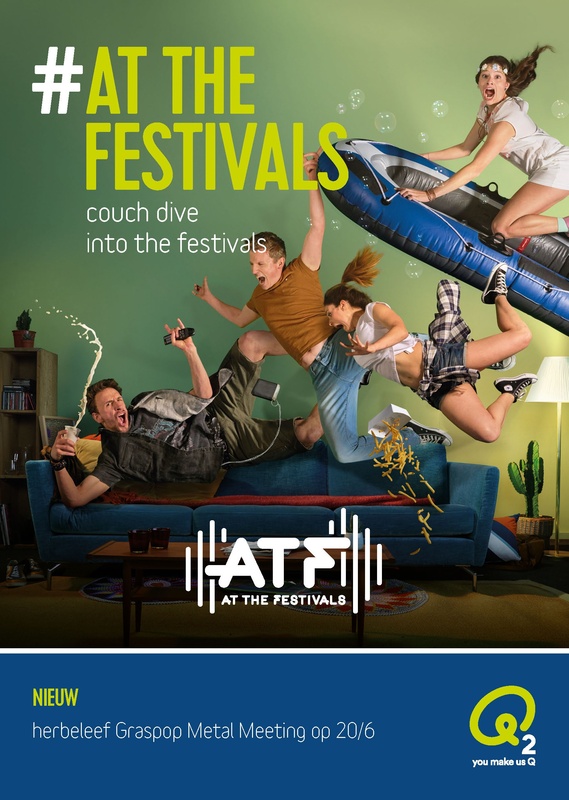 In slow motion and accompanied by festival styled classical music, the ATF commercial makes you wanna dive into your couch right away. Do try this at home! Anyone can do it, especially when you listened to the ‘couch dive for dummies’ radio spots. Going to Rock Werchter in June? You’ll get to show off your couch diving skills! At the Q2 festival stand, you’ll be able to couch dive into a massive sofa together with your friends. On the spot you’ll get to admire your performance in your very own epic slomo video… And share it right away on Facebook, instagram or Snapchat of course! At the festivals. From June 6th new on Q2. Don’t miss any news via atthefestivals.be.